Learn more about the mission of the American Arkology Society. AAS President Charles Koestrin, Ph.D. talks about the future of AAS. See how AAS is extending our knowledge of arkology. See how our understanding of the arks has evolved since the first discovery. Watch videos produced by the American Arkology Society. Explore the artifacts that defined the Great Lakes Zone as we know it today. Learn more about childhood in the Zones through the Maddox ark. The Jarndyke Ark is made of steel, and like other Arks found in North America, appears similar to military-issue cases. Once opened the Ark separates into two non-hinged pieces. The Ark shows signs of wear; this may be due to unknown actions, or simply to its burial and removal. The insert is inserted through the wall of the Ark into the Telos box within. Once screwed into the Ark, a rubber O-ring around the insert forms a water- and airtight seal. Scholars believe the orange blinking light at the end of the insert may serve as confirmation that the Telos box is active, or act as a beacon of sorts. Save the periods when it is removed from the Ark, the light has not dimmed in the 20-plus years since the Ark’s discovery. The Ark is closed with six steel clasps. A rubber gasket lining the rim of the Ark’s interior provides for a water- and airtight seal once the clasps are fastened. The Jarndyke Ark itself is hardly differentiated from other Ark finds. 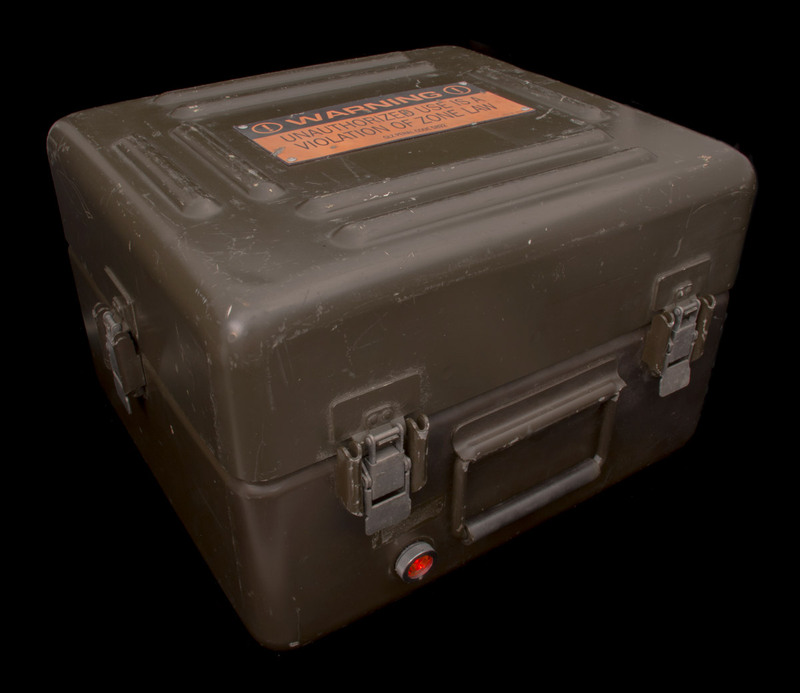 Its steel exterior, typical of military-surplus containers, is a common feature of Arks found across the globe, and its warning signage, though imposing, has been seen in different forms on multiple Arks. The sign riveted to the case warns against unauthorized usage. This seemingly public-facing message has led scholars to hypothesize that while the case may have been intended to house government-restricted materials, they may not have been of a secret/sensitive nature – including the Telos box. Whether or not the Jarndyke effects were intentionally or unintentionally stored in the Ark remains a subject of intense debate. The steel sign riveted to the case sustained damage at one point that has gouged away its enamel coating. Site design by The Lux Group, LLC.